Raga is a melodic concept almost completely unknown in our culture. 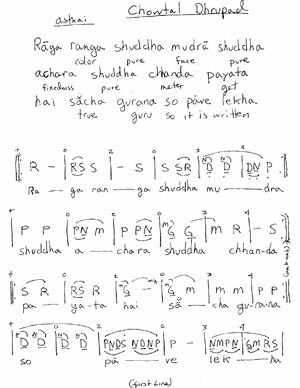 A raga is a blueprint for composing and improvising melody. The best way that I know to describe to Western musicians what a raga is, is to equate it to the "blues." To learn to play or to sing the blues, a musician or singer does not learn a scale. There is much more to singing the blues - i.e. form (12-bar patterns), embellishment notes, riffs. One learns blues only by listening to great blues recordings. The same is true for learning ragas. Learning a single raga is like learning the blues. 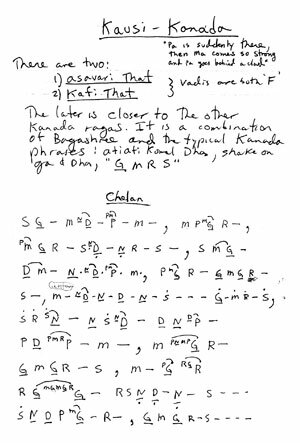 But once you know that raga, like knowning the various possibilities of the blues, you will be able to sing or play it, and you will understand, in addition to feeling, what singers from India are performing when they perform that raga.